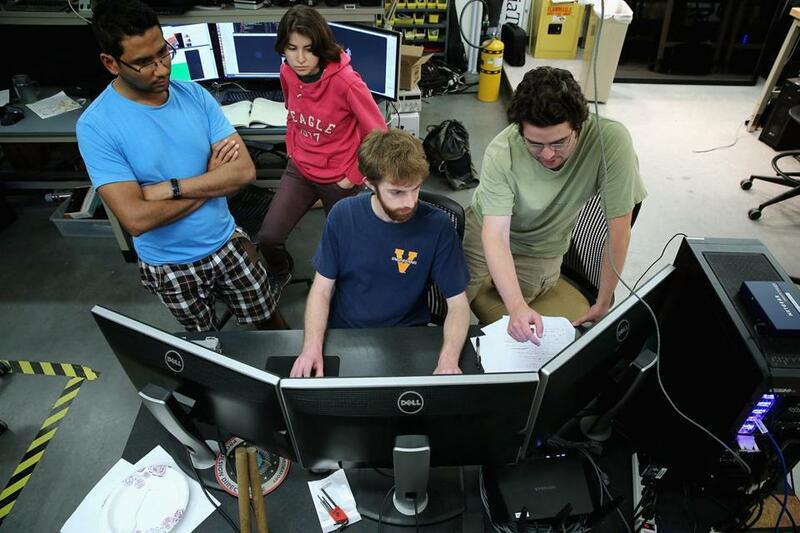 Virginia Tech mechanical engineering students worked all night to test the semi-autonomous ESCHER (Electromechanical Series Compliant Humanoid for Emergency Response) robot for the DARPA Robotics Challenge. We’ve all heard the stereotypes of young people today — they’re unmotivated, glued to their phones, disengaged from the real world around us. Some variation of that trope has been around at least since Socrates bemoaned that children had bad manners and loved chatter more than exercise. It was never true — and certainly isn’t true today. As Jim Kim, president of the World Bank and cofounder of Partners In Health, says, “Optimism is a moral choice.” It’s a choice that young people are making every day around the world, often on the front lines of unfathomable challenges — the largest refugee crisis since World War II, natural disasters, and ongoing scourges of poverty, inequality, and disease. At the Clinton Foundation, we are proud to work with and support many young idealists in action, including through the student community of the Clinton Global Initiative University, or CGI U. This weekend, more than 1,000 student leaders from 282 schools and 95 countries gathered at Northeastern University for CGI U’s 10th annual meeting to talk about the world and all the work they’re already doing and hope to do to make a positive impact on their campuses, communities, and our world. A decade ago, my father launched CGI U because he firmly believed that no one is ever too young to make a difference. Each year, students from around the world prove him right, launching and expanding projects big and small to address climate change, poverty, gender inequality, and other pressing issues facing their generation — and all of us. Sixto Cancel is one of the CGI U alums who has inspired me since we first met a few years ago. He came to CGI U as a sophomore at Virginia Commonwealth University. After surviving abuse in foster care — and recognizing that former foster youth have disproportionately high rates of homelessness and incarceration — Sixto leveraged CGI U to launch Think of Us, a social enterprise that supports foster youth as they prepare to age out of the system. Sixto is building the platform and tools he wishes he had. Another young person who inspires me is Abdelaziz Lawani, an undergraduate at the University of Kentucky who attended CGI U last year with the goal of developing a program that would use drones to identify and fight animal poaching in West Africa. Since then, Abdelaziz has successfully trained more than 200 people — including park rangers and students and faculty from the National School of Wildlife and Protected Area Management in Benin — on the use of drones to identify illegal practices, and they are now using the drones to identify farming issues as a way that promotes agriculture and makes poaching less appealing. CGI U students are also working on achieving real equality for the LGBTQ Native American community, connecting undocumented immigrants with reputable attorneys, providing free eye care, education, and safe gender-violence reporting tools for refugees, and so much else. Every year, I learn a lot — and leave CGI U more optimistic. I learn from all of the students, hear what they’re doing, help them imagine what more they can do — and get a glimpse of a future that will be healthier, safer, more equitable, more just, more sustainable — because of all the work these trailblazers will do.